Newmark Grubb Knight Frank (NGKF) Retail has been selected by Tavros Holdings to market its retail redevelopment project at 44 Ninth Avenue at the corner of 14th Street and Ninth Avenue. The flagship corner, which is currently occupied by The Diner, Scarpetta, Gansevoort Market, L’Occitane and Le Pain Quotidian on the ground floor, can accommodate users from 2,500 to over 40,000 s/f on multiple levels. 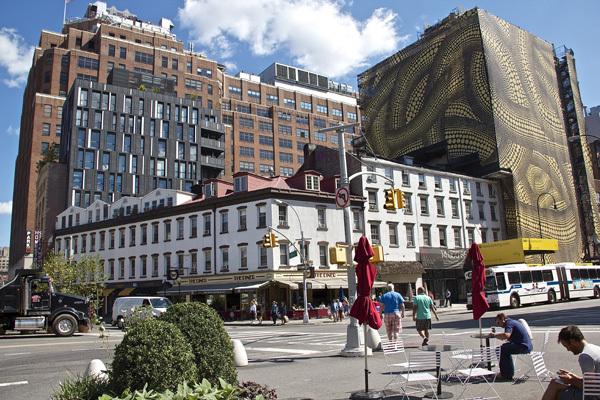 The Meatpacking District has gone through a transformation over the years from a retail shopping street to a neighborhood of high profile office tenants, residential developments, world-class shopping and night life. 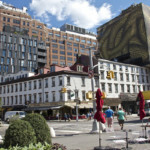 According to the latest report from REBNY, asking rents in the Meatpacking District are $345 psf, a one percent dip from 2Q numbers.